Former University of Texas forward Nneka Enemkpali has a chance to rejuvenate her WNBA career after signing on with the Minnesota Lynx (photo courtesy of texassports.com). MINNEAPOLIS — Former University of Texas forward Nneka Enemkpali has signed a seven-day contract to join the Minnesota Lynx. 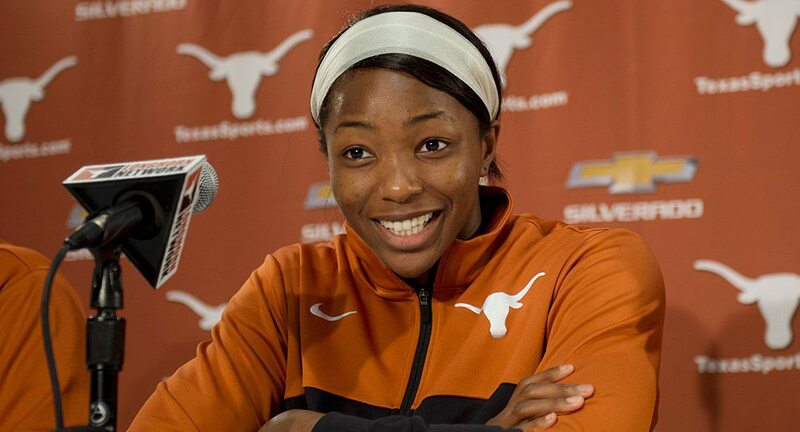 Enemkpali, who played at UT from 2011-15, was drafted in the third round (26th overall selection) of the 2015 WNBA draft by the Seattle Storm but missed what would have been her rookie season while recovering from a knee injury she suffered during her senior season with the Longhorns. She was signed by the Storm to the 2016 training camp roster but was waived before the start of the season. In the Lynx, Enemkpali is joining the team with the second-best record (19-4) in the WNBA. Minnesota’s first game with Enemkpali on the roster will be at 12 p.m. this Wednesday against the Atlanta Dream, a team that boasts Enemkpali’s former Texas teammate, Carla Cortijo.